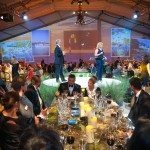 The Conservancy of Southwest Florida will host the 13th annual Magic Under the Mangroves gala dinner and auction fundraiser on Thursday, March 2 at 5:30 p.m. at the Conservancy of Southwest Florida Nature Center. Presented by Northern Trust and William Raveis Real Estate, the fundraising event recognizes the importance of protecting the natural environment and quality of life in Southwest Florida. Magic Under the Mangroves is a key source of revenue for the Conservancy of Southwest Florida, with proceeds supporting the Conservancy’s mission to protect Southwest Florida’s water, land, wildlife and future. 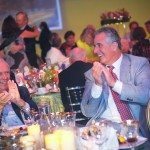 One of the top charitable events in Southwest Florida, the event will include cocktails, hors d’oeuvres, a seated dinner by Windows Catering, an award-winning “green” caterer, and live and silent auctions featuring one-of-a-kind items and experiences. Carol Dinardo of Windows Catering serves as the chair of this year’s Magic Under the Mangroves event. Since 2012, Dinardo has led Windows Catering in providing a world-class gastronomical experience for guests of Magic Under the Mangroves. A resident of Naples, she recognizes the importance of protecting the beauty and natural surroundings that make Southwest Florida so unique and special. Proceeds from the event will fund Conservancy programs protect Southwest Florida’s natural resources, including animal tracking, patient care within the von Arx Wildlife Hospital, education, advocacy, equipment, internships and summer camp scholarships. Through the generosity of donors, in the last year, the Conservancy has treated more than 3,500 injured animals at the von Arx Wildlife Hospital. Conservancy biologists protected more than 26,000 sea turtle hatchlings. Additionally, more than 55,000 people received high-quality environmental education within the community and at the Nature Center. In addition to Magic Under the Mangroves’ presenting sponsors, Northern Trust and William Raveis Real Estate, supporting sponsors include Gulfshore Life, NBC-2, Naples Daily News, Florida Weekly, AVMedia and Germain BMW. Magic Under the Mangroves began as the 40th-anniversary celebration for the Conservancy of Southwest Florida. The 2016 Magic Under the Mangroves event raised more than $1.2 million, a sizeable portion of the Conservancy’s annual operating budget. Since its inception, the event has raised more than $8.1 million. For more information on Magic Under the Mangroves call 239-403-4218 or visit www.conservancy.org/events/magic-under-the-mangroves. The Conservancy of Southwest Florida is a not-for-profit environmental protection organization with a 50-year history focused on the issues impacting the water, land wildlife and future of Collier, Lee, Charlotte, Hendry and Glades counties. The Conservancy accomplishes this mission through the combined efforts of its experts in the areas of environmental science, policy, education and wildlife rehabilitation. The Conservancy of Southwest Florida, world-class Nature Center and von Arx Wildlife Hospital are headquartered in Naples, Florida, 1495 Smith Preserve Way, south of the Naples Zoo off Goodlette-Frank Road. Learn more about the Conservancy’s work and how to support the quality of life in Southwest Florida www.conservancy.org.